Corks & Chefs is turning 16! 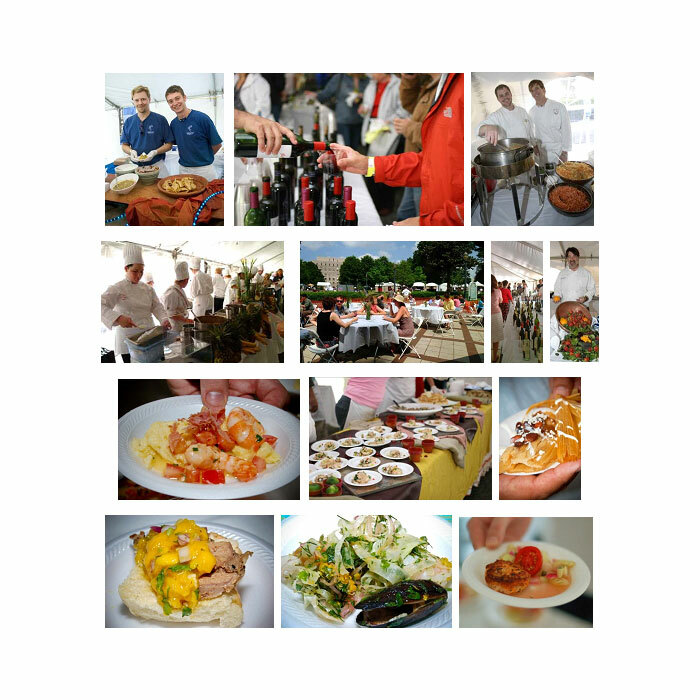 This highly anticipated annual food & wine event at Magic City Art Connection is a taster’s paradise, and continues to serve up delicious food from Birmingham’s best restaurants, delectable wines from around the world, plus great local and national brews and select coffees. It’s a taster’s dream! Have fun exploring the visually enticing plates with eyes wider than your stomach. With multiple tasting stations lined with rows of wines to sample plus sit down, guided wine seminars lead by knowledgable vintners, there are many ways to navigate your your tasty tour through the 100 foot culinary tent. If you just need to kick back and relax, the patios are a great spot to take in your Corks & Chefs experience at a community table with the festival action close by. We’re showcasing live music performances there too. Tickets are on sale now. Get yours in advance and save $5. For all the details and to purchase tickets, click here. Below is a little teaser to get your taste buds going for Apr 27 & 28 in Linn Park. Featured dishes are coming in daily. So check back often. The complete menus list should be posted to the website very soon. Duo of Scones-Thyme + Currant Scones with Meyer lemon curd and Devonshire cream by Avo and Dram. All proceeds from Corks & Chefs help support arts educational programming free for 1500 Birmingham city school 4th graders attending Imagination Festival on Fri, plus thousands more children over the 3 day festival weekend.